Check out the Coaches Corner for more details after reading this background information. Waterdown's baseball program relies on volunteer coaches from the community. While normally our coaches develop their skills alongside their children, Waterdown provides support in advancing coach and player development. Within the community we have the opportunity to draw on the experience of many former semi-professional and professional baseball players. All of our rep-level coaches are certified under the NCCP program and are offered additional support if they wish to extend their certification beyond the minimum levels required by Baseball Ontario. If you are interested in coaching your child, please complete the online coaching application menu. It’s not easy being a coach. From the moment you start out, you will have many questions. Be assured that the WMBA is here to support you. For questions on coaching softball or baseball at any age, you can contact or and we will be happy to assist. More resources can be found in our Coach and Player Development External Links section. The Rally Cap program is an initiative to enhance players’ and coaches’ first experience with the game. The program helps teams teach players the five FUNdamentals of baseball in a fun and safe environment. Players have the opportunity to perform different tasks in order to earn a colored Baseball Canada Rally Cap. Cap colours correspond with various levels of achievement. The program is designed for young baseball players. 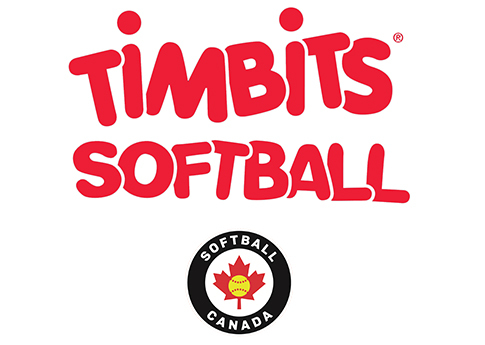 Softball Canada has developed a revolutionary way of introducing softball to children. The main goals of the program are to ensure that children are having FUN, being active and enjoying success no matter what their skill level. The Tim Horton's Learn to Play program is easy. Click the picture above to visit Softball Canada's Website and download the Learn to Play lesson plans. Just watch the video's, and then play the games with your kids. They will learn and have a great time doing it. Coaching older or advanced kids requires knowledge and expierience gained best through the National Coaching Certification Program (NCCP). The National Coaching Certification Program is a coach training and certification program for 65 different sports and is offered in both official languages across Canada. NCCP workshops are designed to meet the needs of all types of coaches, from the first-time coach to the head coach of a national team. The NCCP is the recognized national standard for coach training and certification in Canada. As part of the program, all coaches are trained in ethical decision-making and sport safety. To get started, for all types of coaching, go here. The most important part of being a coach is to lead by example in all aspects. Show up early, be well prepared, be organized, check equipment for safety, be excited and create a high-energy environment. Ensure that your players are properly prepared for the weather. Sunscreen, hats/visors, water, rain jackets etc. Ensure that your playing field is safe and that your players know about any potholes or hazards in their play area. Write some notes down before you call a practice. Plan what skills you want to cover, the drills you are going to use to teach them and any games you want to play. This will keep your practice moving. Always provide a learning environment. Communicate clearly, and speak their language. Don’t talk too long, or they will day dream. Have a routine for them. I.e. show up early, get on their equipment and then they can talk for a few minutes to get to know each other and talk about school or whatever. Then start off with a game to set the mood of fun and exercise. These games should incorporate some softball skills i.e. throwing, running etc.. This will get their heart rate up and get them smiling. Once your team is smiling and ready, start your first drill. Your drills should represent the skill level of your players. If you are coaching atoms then drills should be game like and focus on the most basic skills. For advanced players drills should be focused more on tactics then skills. Players should not be standing around for any length of time. If your drill only requires 1 or 2 players, then have the assistant coaches or parents play a game or perform a drill with the other players so that they don’t get bored. Spend very little time explaining the drill and ensure all of your players can see and hear you. Then show them. Ask if there are any questions, and then get them doing it. Try to teach drills that involve all players. After each drill provide some time to get a drink. Encourage your players to drink water instead of high mineral drinks. Watch your players for any irregular behavior that may be dehydration or other heat related symptoms. Your practice should not exceed 30 minutes for younger players and 2 hours for older players. After practice thank your players for being there. Ask them what some of their favorite parts were, so you can repeat at a later practice. End practice early and just sit around with your players and get to know them. Ask questions, like “What’s your favorite food?” or “What’s your favorite Movie?” These questions will start conversation and it will help with team adhesion. Explain to your players that softball is fun, but they must also be serious some times. There are times when you need your players to pay attention and be serious. Have fun with your players when its fun time, and then be serious when its time to be serious. This will set clear guidelines for your players. Let the parents of your players know that they are representing the city of Waterdown and that they are responsible to set an example. Inform your parents, coaches and players that they are not to direct any abusive, derogatory or racial comments to the umpires, the other team, or you. In Waterdown, we adhere to the City of Hamilton Zero Tolerance Policy. Preparing for an emergency requires planning. The Waterdown Minor Baseball Association has a complete emergency action plan, know as our EAP. All coaches will be trained on the WMBA EAP and will be required to activate the EAP with their teams.